We are located 0.2 miles from the Beverly Depot Train Station. Rantoul St. parking is metered (Mon-Sat) payable through the electronic kiosks along the street. The rate is $.75/hr. 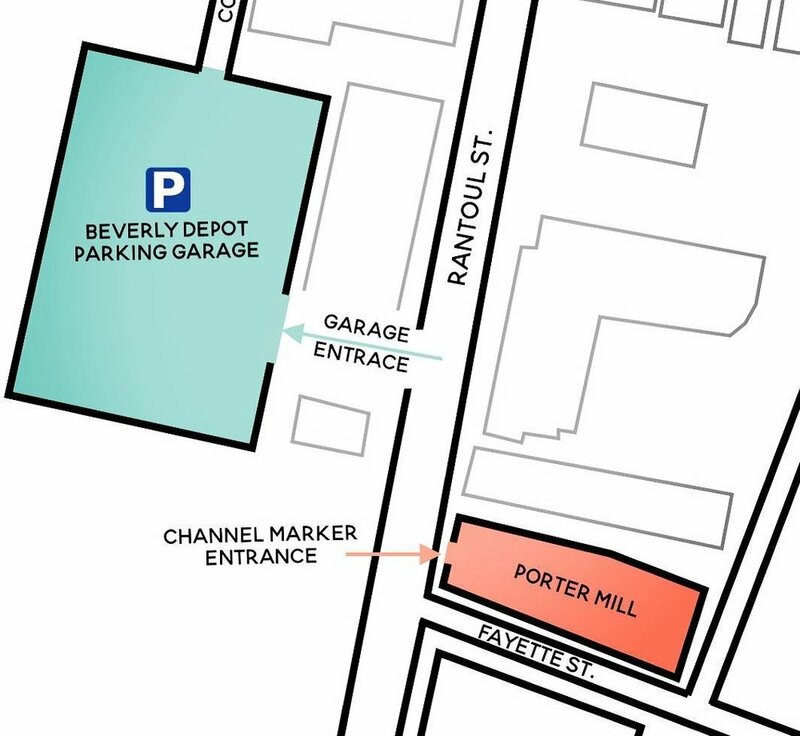 Your best bet may be the MBTA parking garage located across the street at 100 Rantoul St. (see map) THE GARAGE IS ONLY $2/DAY!!! Please take note of the signs, especially on Saturday when the parking restrictions apply, as we cannot be held responsible if you get a parking ticket. We will have 32oz growlers available for purchase. Can sales will also be available occasionally. Pours will be available in 4oz and 12oz. *As of Sat March 2, we are currently sold out of growlers! The draft list of beers available for purchase can be found on the large display menu in the Taproom and on our website. As with our growler-fill menu, the online list will be updated daily before open, but is subject to change. We always recommend following us on , Instagram, and Facebook for the most up-to-the-minute information. We do not operate a restaurant or serve food in the Taproom, but we often have food trucks on-site during weekend service. Check our social media to see upcoming schedule. You are also welcome to bring in your own food to enjoy on-site. DO YOU ALLOW PETS IN THE TAP ROOM? Due to our small size and the fact that we will be hosting pop-up food vendors in the taproom we cannot accommodate pets. Sorry!